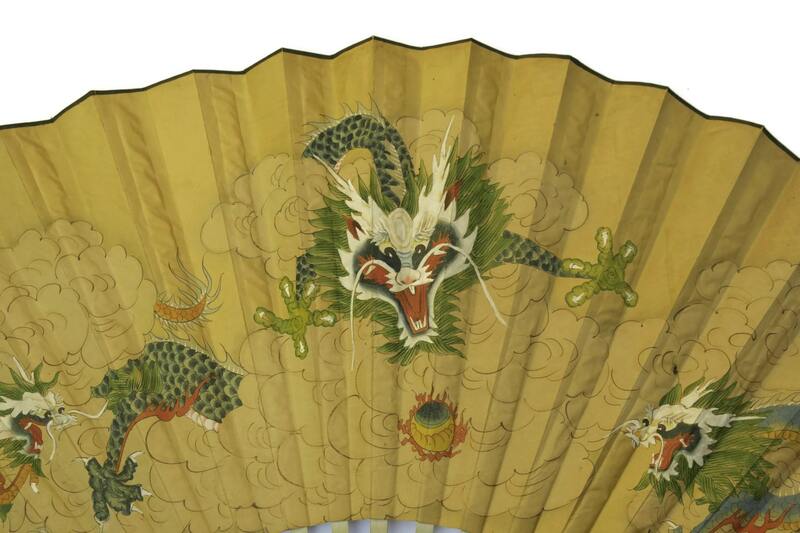 Huge Vintage Japanese Hand Painted Silk Wall Fan. Vintage Dragon Art. Oriental Home Decor. Boho Wall Hanging. 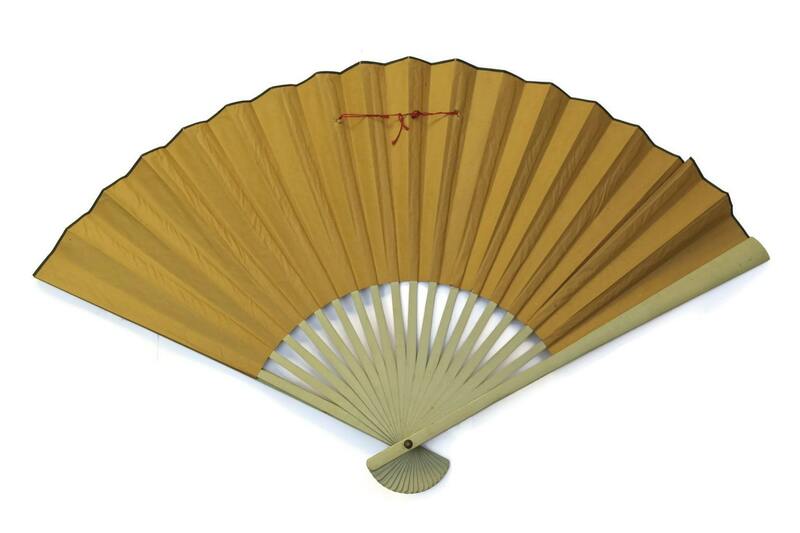 A magnificent vintage Japanese wall fan of very large proportions. 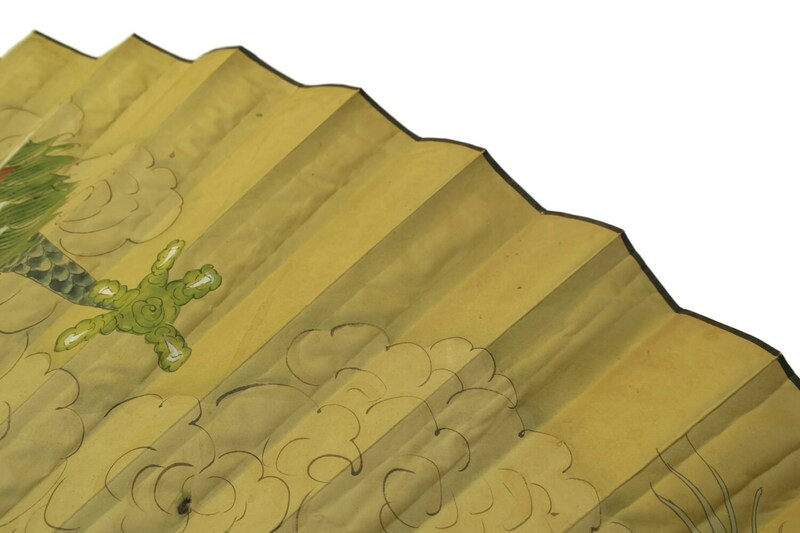 The wall hanging has a silk panel that has been exquisitely hand-painted with a trio of dragons flying amongst the clouds. 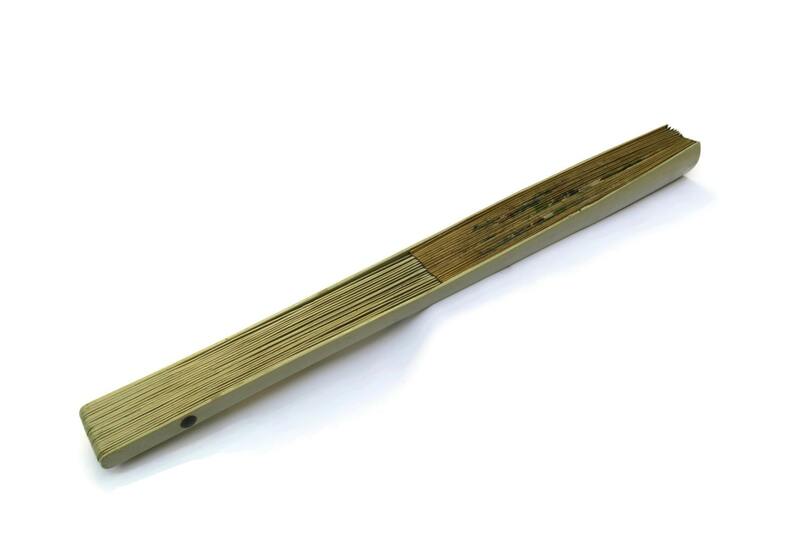 The painted panel is supported by long wooden slats that have been painted in a shade of pale duck-egg blue. The reverse of the fan has been lined with paper and has a string loop for hanging on the wall. The wall fan is in good vintage condition with age-appropriate wear including light marks and wear to the silk and paper. 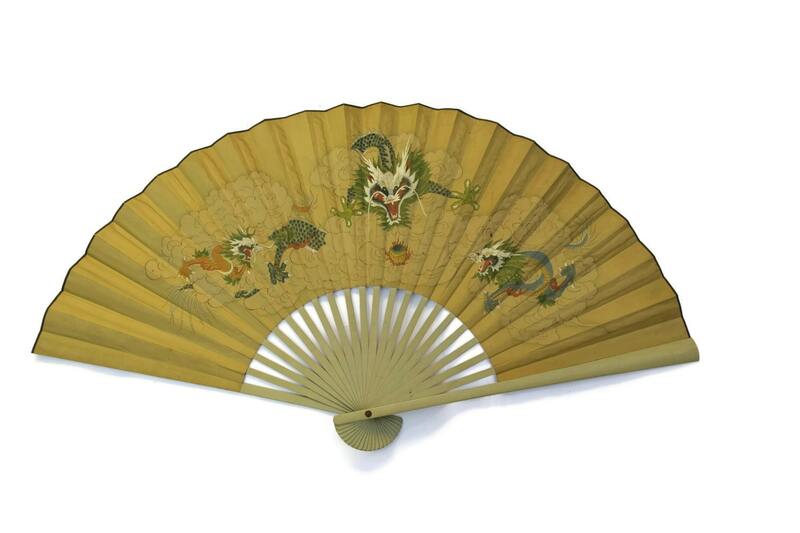 Item ref: Huge Vintage Japanese Hand Painted Silk Wall Fan. Vintage Dragon Art. Oriental Home Decor. Boho Wall Hanging. Very pleased with the fan. It’s beautiful and has arrived safely, well packed. Many thanks.